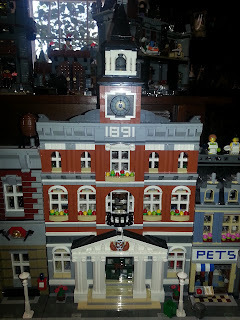 Note: This post originally appeared on ThEpic Review in February 2013. For the sake of archival, I've been moving my old reviews and lists to ActionFigureBarbecue. Characters from every corner of the Masters of the Universe wold helped keep MOTUC fresh this year. Without a doubt, this is still my favorite line to collect. 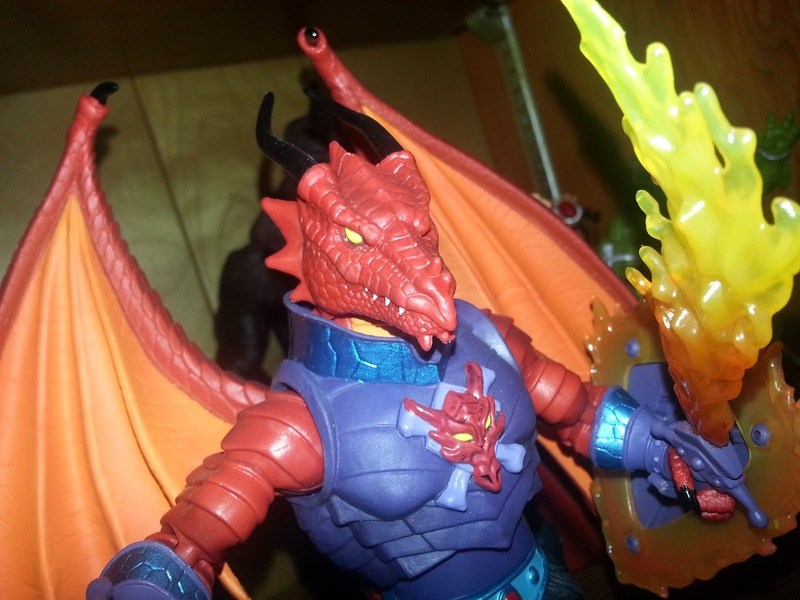 Mattel's online exclusive love letter to all things Masters of the Universe began in late 2008 but continues to offer fans figures of characters and creatures from all areas and eras of the Masters of the Universe universe (that's always so darn redundant). Sure, there were some low points this year (quality control problems, some questionable design choices, and half of the 30th Anniversary line) but there were also some incredible high points as well (Fisto, Shadow Weaver, Draego-Man, and Castle Grayskullman all come to mind). 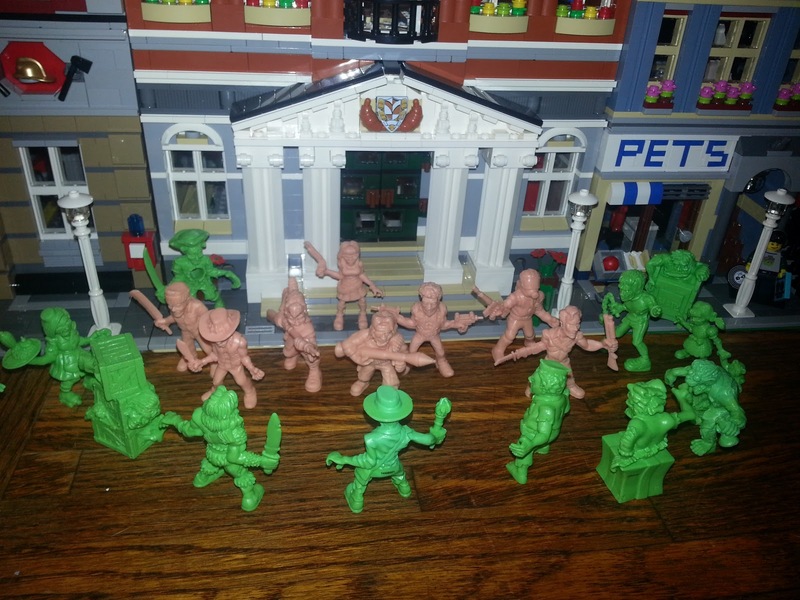 While there was some doubt as to whether the 2013 line would happen, it eventually was confirmed and a new Castle Grayskull was pre-sold and announced for December 2013. I hope this line stays on this list for the next few years! 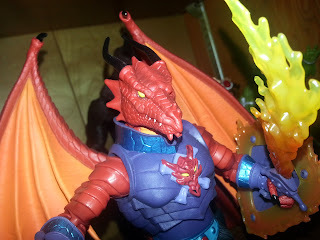 Draego-Man was one of the best action figures of 2012. "I better not here you talk trash about Spy Kids 3 again!!" Other than producing every Predator known to man, lately NECA really hasn't stuck with most properties they've acquired long. 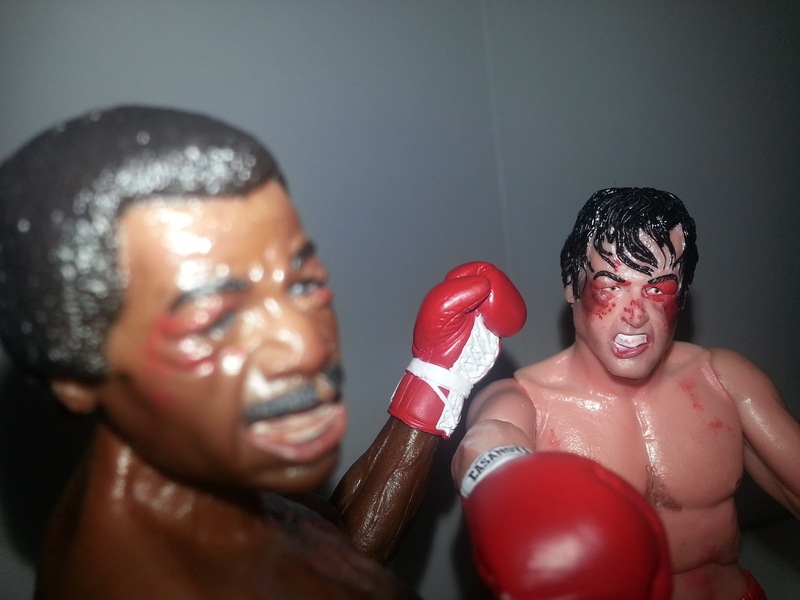 Still, the action figures NECA does release are always exceptional and their Rocky line might be their best yet. Perfect articulation, excellent likenesses, and exceptional attention to detail have really made this a spectacular line. So far we've seen various versions of Rocky Balboa, Apollo Creed, Clubber Lang, and Ivan Draego, but hopefully the future will bring us a few more (it'd be nice to have figures from Rocky V and VI as well (Yes, I know the movie is technically called Rocky Balboa). 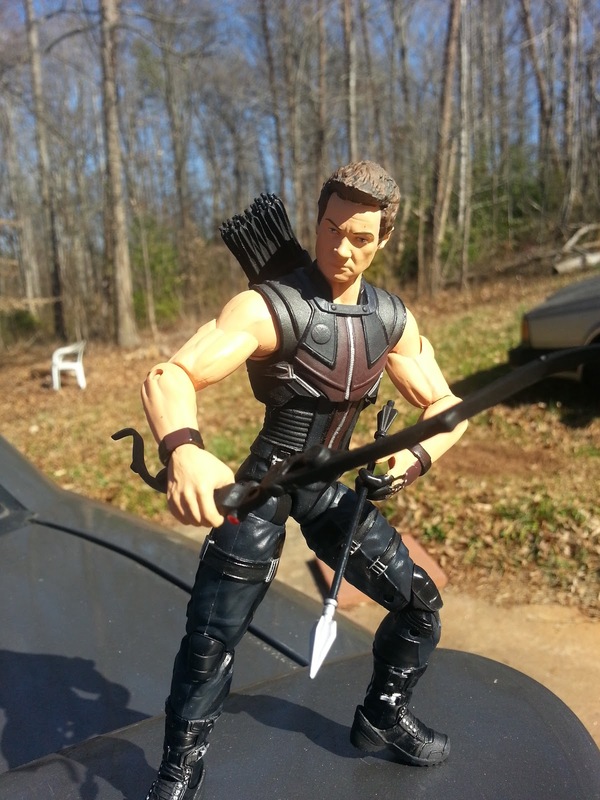 These figures have some of the best likenesses and best articulation. When you look into their eyes, you can see the Eye of the Tiger. You just have to believe. Slug Zombies come in 3 packs and 12 packs. You'll have an army before you know it! It's rare these days to walk into the toy aisle and be surprised. That being said, SLUG Zombies (Scary Little Ugly Guys, in case you were wondering) truly crept up on me. 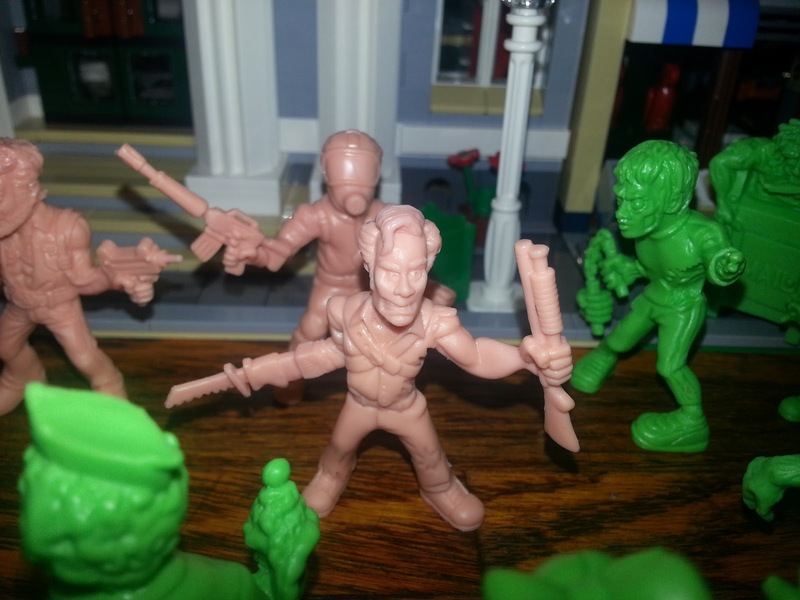 While the distribution for these guys has been weird (I've only ever seen them at Toys R Us and Target) the figures are neat little 2 inch solid plastic figures similar to beloved mini figure lines of the 80's and 90's like M.U.S.C.L.E., Monster in My Pocket, and the Trash Bag Bunch. With an eclectic mix of zombies and zombie hunters based off of film characters, historical personalities, and various archetypical characters, SLUG zombies were too much fun last year! This is not Ash, but "Sawblade Sampson." His catchphrases include: "Come obtain a little" and "Pay respect to the emperor, honey". 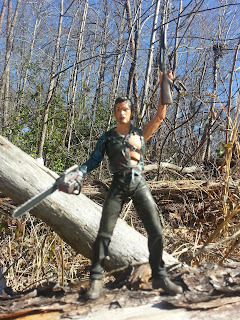 While there have been plenty of action figures released from Army of Darkness (the third film in the series), this is the first time we have received anything from Evil Dead 2: Dead by Dawn. NECA one again showed us why they are the top company for creating amazingly detailed 6-7 inch action figures from beloved entertainment properties. While the line was fairly small (3 Ash variations, Henrietta the Deadite, and an SDCC exclusive Ash) it was well done with exceptional likenesses, solid paint work, and teriffic accessories. Feel free to make this the new wallpaper on your computer. I won't judge you. Statues aren't everyone's cup of tea. For those interested, though, Kotobukiya has done an awesome job with their line based on the women of DC comics. 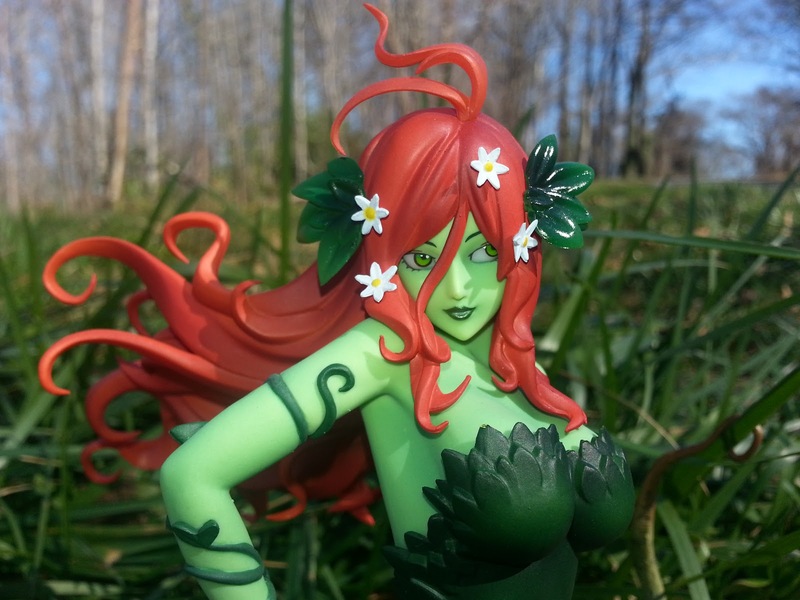 These are solid and durable PVC statues of the women of the DC Universe with a fun, anime style to them. They don't look as stylized as DC Collectible's own Ami-Comi line, but are more stylized than something like Cover Girls of the DC Universe. This year had some great releases Like Power Girl, Poison Ivy, Harley Quinn, and Huntress. 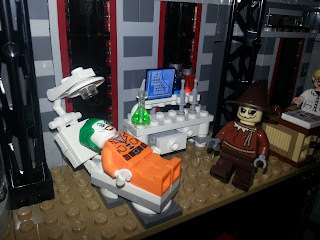 The Joker and the Scarecrow from Lego's "Arkham Asylum Breakout". OK, I'm making an exception here by lumping all Lego products together. If I were going by individual themes, Lego would take up half of this list. 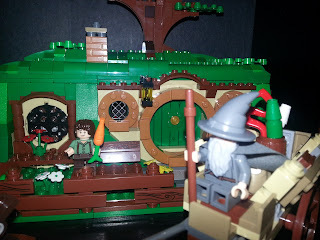 This year I came out of my "Dark Ages" as AFOLs like to say (that's Adult Fans of Lego) and got interested in Lego due to the amazing Monster Fighters theme. A mix of classic movie monsters, old school monster hunters, and steampunk sensibilities certainly captured my attention and my wallet. 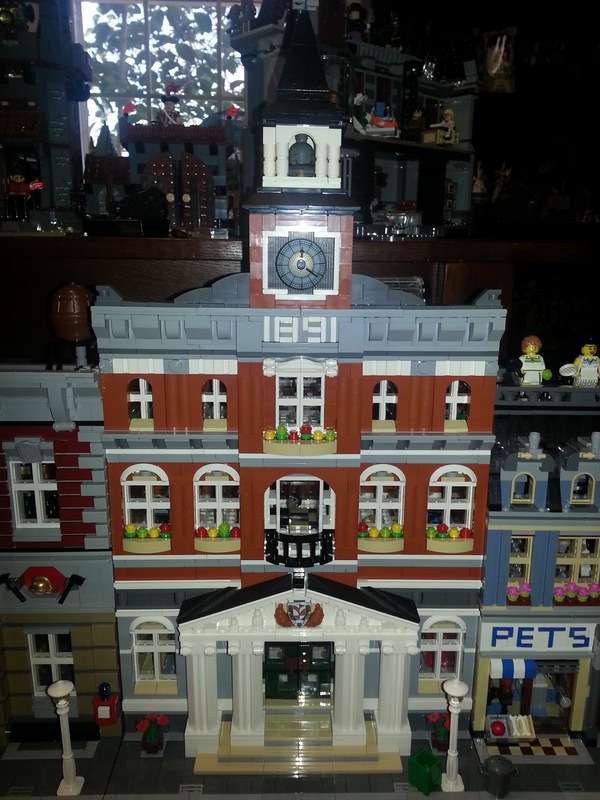 Other themes that caught my atention were the excellent modular buildings (this year's release was the massive Town Hall), the revamped DC Superheroes theme, the new Lord of the Rings and Hobbit themes, and various cool releases from long running themes like Star Wars and the City themes. The Vampyre's Bride from the Monster Fighters "Vampyre Castle". A Lord of the Rings scene from two sets: "Gandalf Arrives" and "An Unexpected Gathering"
The Lego Town Hall is larger than most children and pets. Don't tell Batman, but I think Azrael is wearing hockey pads. The Arkham Asylum figures released by DC Direct (now DC Collectibles) were some of the best Batman figures in recent memory. Fortunately, DC Direct/Collectibles decided to continue on and release more characters from the follow-up hit Arkham City. 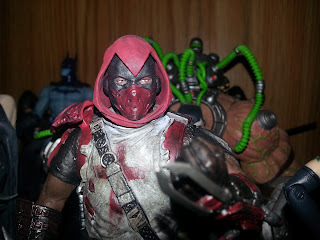 Characters like Azrael, The Riddler, and Hush don't often have action figures made so their inclusion in the line was quite welcome. While some serious quality control issues plagued certain figures in the line and DC Collectibles definitely cut some corners (i.e. no stands) this was still one of the best Batman lines in years. 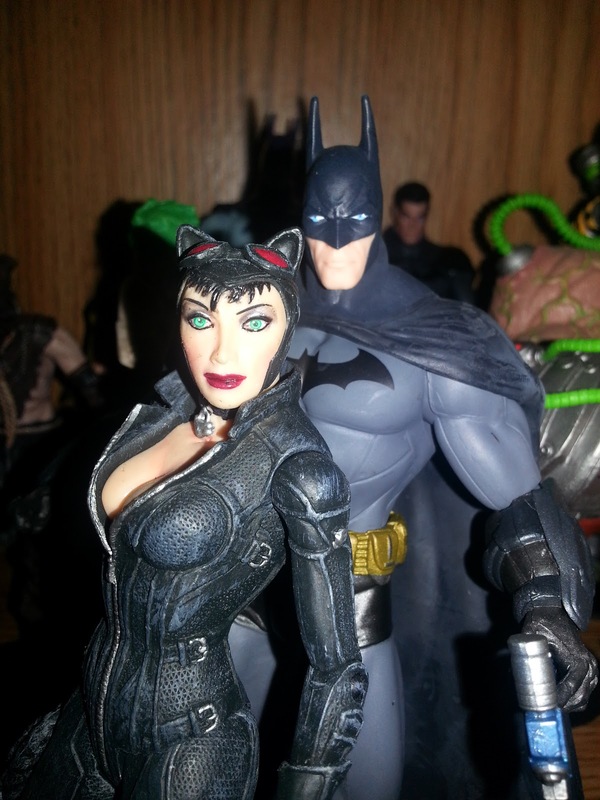 Batman and Catwoman from Arkham City. These guys really tie my living room together. 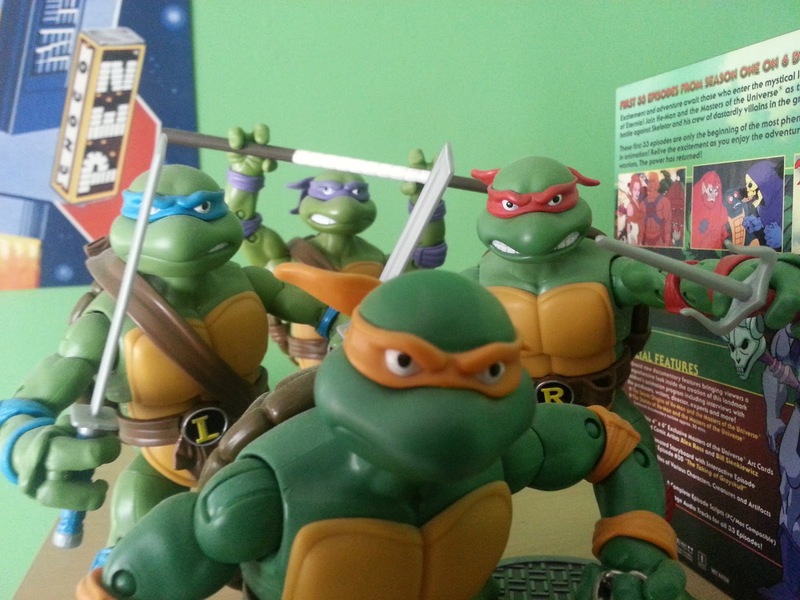 Here's me cheating again: I'm lumping together both of Playmates' excellent TMNT lines into one spot. While they are two separate lines aimed at two separate demographics, one a 4inch line aimed at kids and the other a 6-7 inch line aimed at collectors based on the late 80's toys and cartoon , both lwere incredibly impressive. Playmates hasn't had a lot of hits in the action figure aisles recently, but TMNT is bringing them back. These were some of the hottest toys this past Christmas season and both lines show no signs of slowing down. 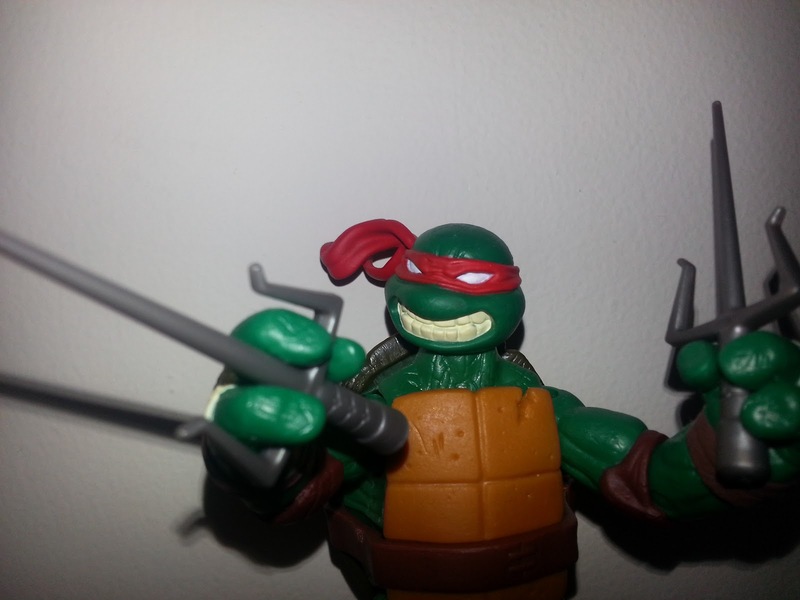 Fact: Raphael is the best turtle ever. Deal with it. While so many companies are releasing Marvel action figures these days, and in a variety of scales, I think the company releasing the best action figures of Marvel Characters is Diamond Select. Their sculpts are fantastic, the articulation has really been improving over the past couple of years, and they always offer so many great extras like display stands or diorama styled backgrounds. Releasing a nice mix of traditional Marvel characters and characters from the Marvel films, DST put out some great product this year. Their Avengers line was particularly nice. "I don't always read review blogs, but when I do I read ThEpic Review." 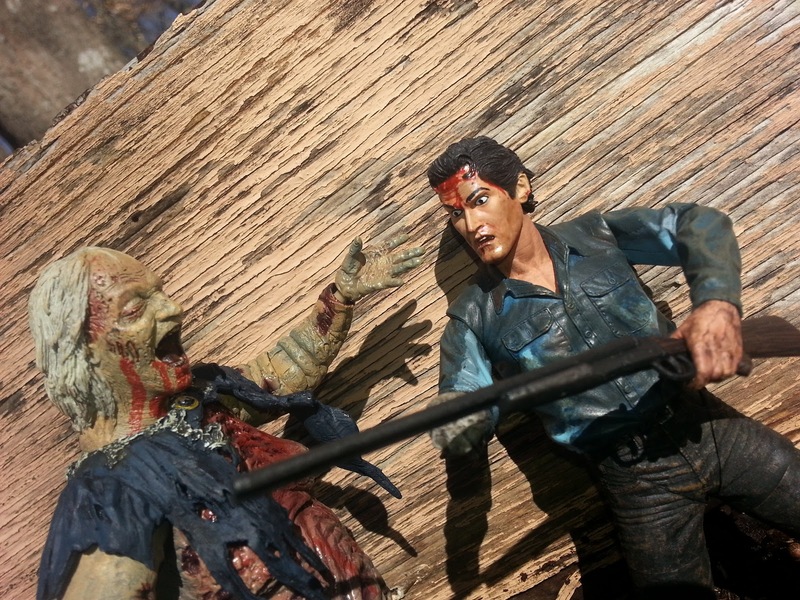 Here's a line from NECA again. 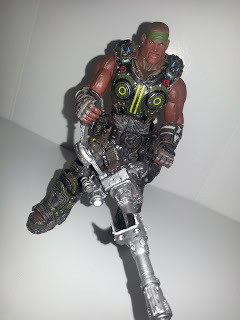 While a few of the figures from their Gears of War 3 line trickled out at the end of last year, there was plenty of new product for 2012. 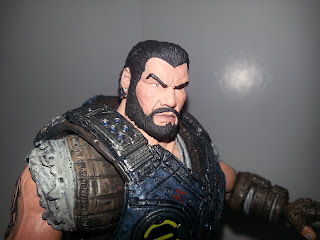 NECA's attention to detail, excellent sculpting and paintwork, and fantastic work on weapons and accessories really helped to make the Gears figures resemble their in-game counterparts. NECA also managed to make figures of guys and girls in bulky armor suits quite well articulated with some very clever joints. Everyone wants an action figure of the Cole Train, baby! Some thoughts: Overall, NECA appeared on this list the most times this year (3). They put so much creativity, quality, and innovation into every line they touch and I'm always excited to see what they do next. 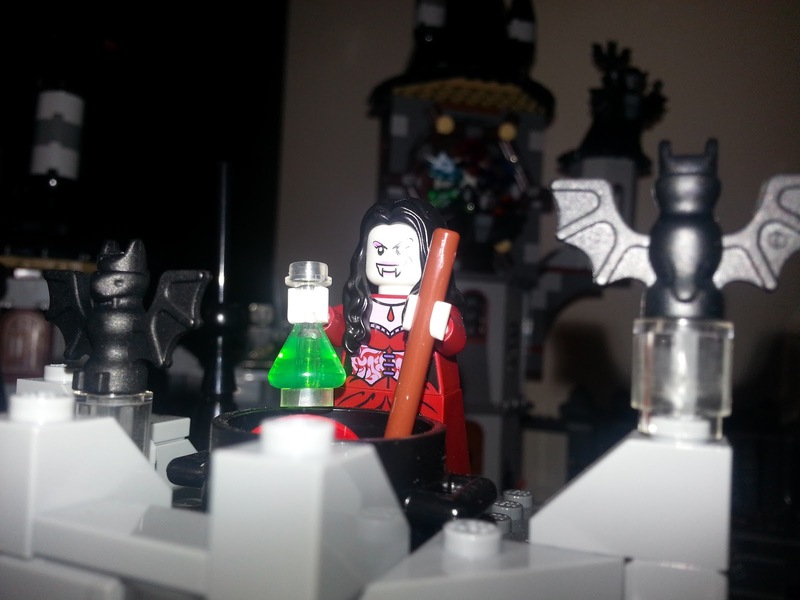 My love for LEGO was renewed this year both because of some excellent licensed properties and some fantastic in-house properties, especially Monster Fighters. 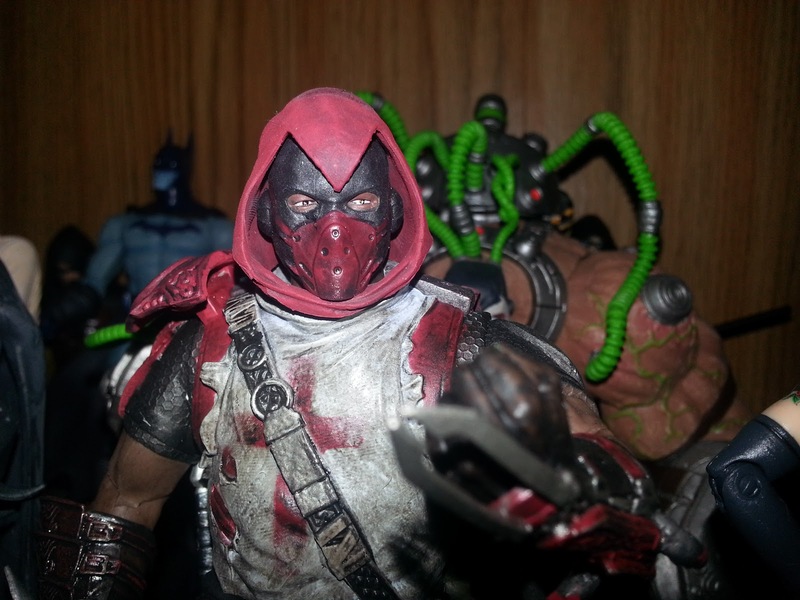 Mattel's MOTUC and DC Collectibles' Arkham series have been on the list for the past couple of years. 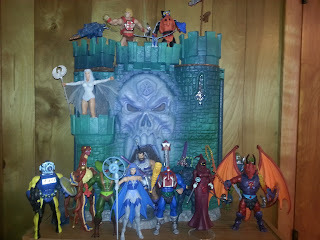 Let's hope they stay there, especially MOTUC as I have a huge list of MOTU characters I still want to see on my shelves. Surprisingly absent this year was anything from Hasbro; They've dominated my list in years past with G.I. Joe, Star Wars, and Marvel Universe so their absence is quite unusual. I'll be releasing a whole separate post on toy lines and companies missing from my list this year. 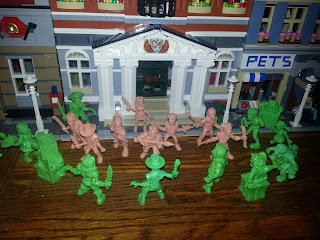 It was great to see the TMNT and Playmates Toys back in action, as well. I always love to see a new generation of kids exposed to the Heroes in a Half Shell. It's also interesting that my list had no 1/18th (3 3/4inch) action figure lines on it this year. While so many companies are moving their lines to this scale, there just weren't any lines in this scale that caught my attention this year. 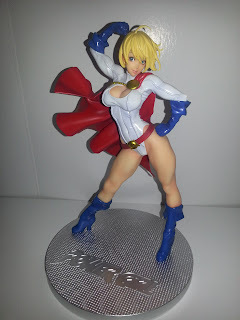 I also had two lines on here that have no articulation (Kotobukiya's DC Bishoujo and S.L.U.G. Zombies). We'll see how things change again over the coming year! Barbecue17 would have included "My Little Pony: Friendship is Magic" toys on this list, but he refuses to buy them on principle because no figure of Applejack ever comes wearing her trademark hat. Check out his review of toys and action figures on Amazon.com.